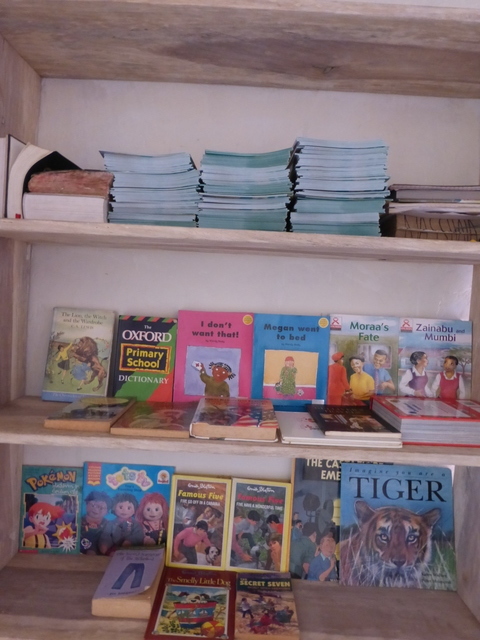 On Monday 13th October we stocked a third Community Micro Library in Banda, Kireka. We hope that these books shall contribute to improving the quality of life for young readers. Here are pictures from that afternoon. 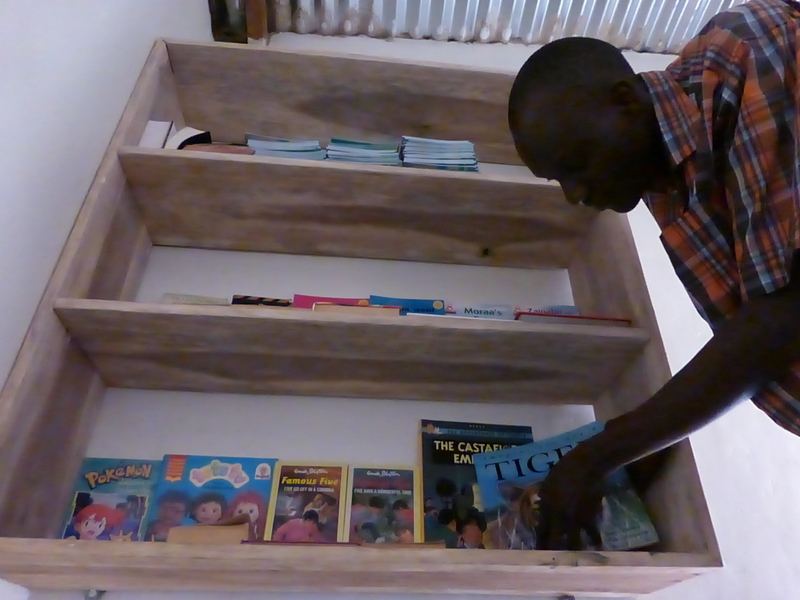 Mr. Oloya Joseph cataloguing and arranging books. We take utmost care to respect the dignity of families. All our materials are either in good or excellent condition. In this way, readers feel valued and their sense of self esteem is enhanced. The system of borrowing is based on trust so there are low administrative needs. Books can be enjoyed at leisure, depending on one’s level of concentration and free time. There are no restrictions on return dates. 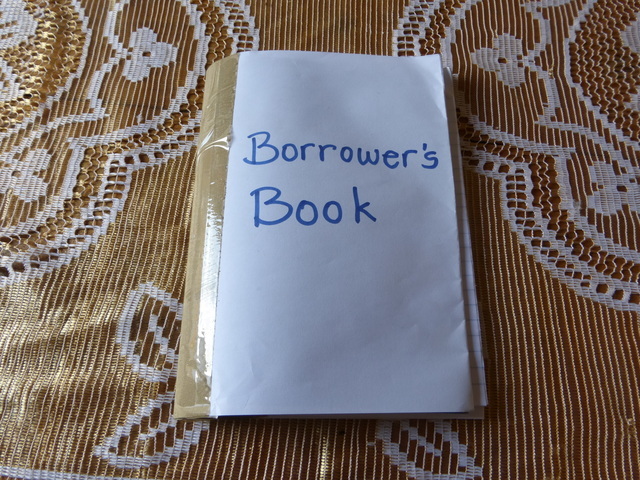 Inside the borrower’s book is space for giving impressions on books that have been borrowed and read. Literacy is a long term investment. By the same token, all fixtures such as shelves are built with materials that are durable and do not offend the tastes of the household. 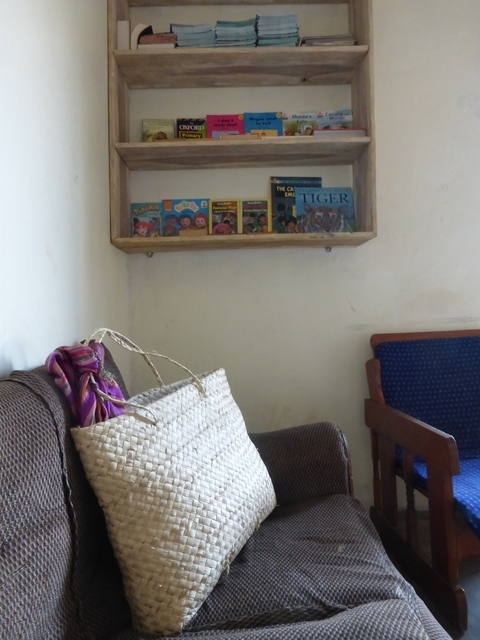 The shelves were built by Mr. Locii Henry, a carpenter who is also experienced in civil works. 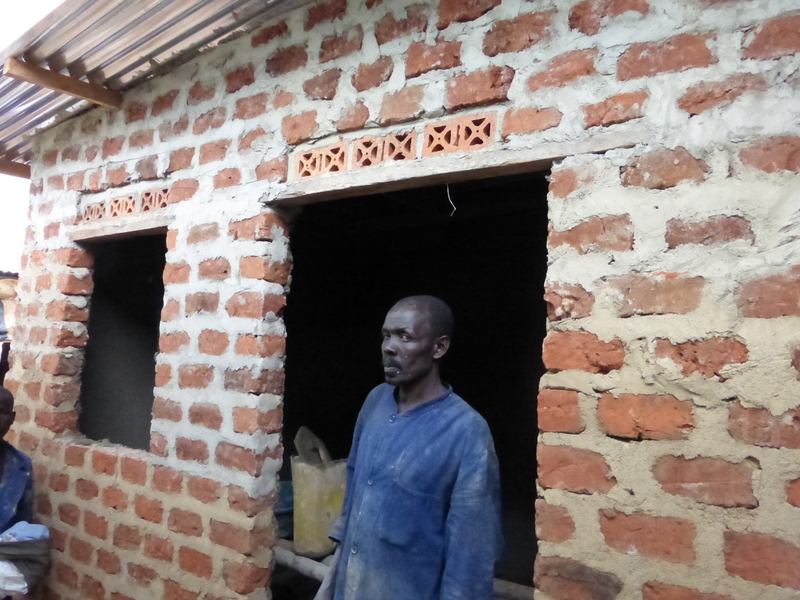 By hiring skilled workers from within the community, we create modest employment. 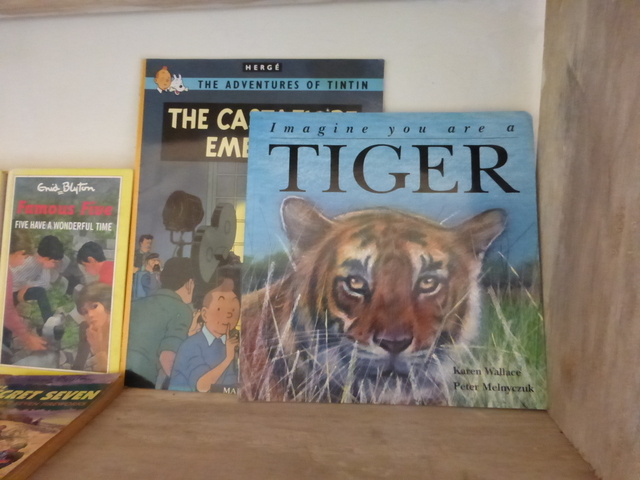 The books on the shelves mainly cater to the needs of children and young adults. The titles support cognitive abilities such as creativity, problem solving and critical thinking skills. Other titles address practical problems that local people can easily relate with such as HIV/AIDS, sanitation and hygiene. One bag at a time eases access to books by eliminating the complicated logistics of travel. You can support Community Micro Libraries by donating books.